Hemp, often referred to as industrial hemp, is believed to be one of the oldest cultivated crops that exists. For some 10,000 years up until the last century, the use of hemp has been documented by various civilizations. There was even a time in the US in the early 17th century that it was illegal not to grow hemp. While hemp was banned along with marijuana in the 1930s, with the increasing information on CBD and the myriad of health benefits it contains, hemp has made a significant comeback. Today there are countless hemp-derived CBD products available on the market that are legal in all 50 states. But what exactly is industrial hemp? And does it really contain CBD? Where marijuana can contain as high as 30% THC, industrial hemp typically contains only 0.3% THC or less. What industrial hemp lacks in THC, however, it makes up for in CBD. Hemp is naturally abundant in CBD, where marijuana cultivated to get you high typically contains only trace amounts of this non-psychoactive cannabinoid. Marijuana cultivated to get you high is grown for the THC-laden flowers it produces that are either smoked or made into various concentrates and edibles. Hemp, on the other hand, is grown as an industrial crop with the stalks and seeds typically used in production. The increasing popularity of CBD has also led to a myriad of hemp-derived CBD products that are now available almost everywhere. Does hemp really contain CBD, though, and are these products all they’re cracked up to be? 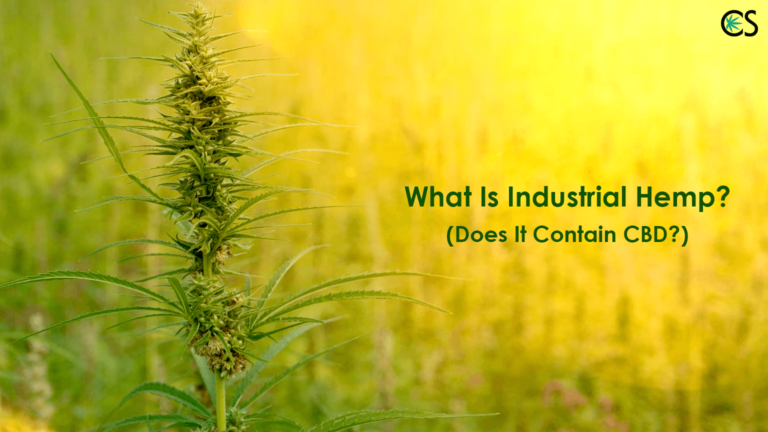 Does Industrial Hemp Contain CBD? Where marijuana can contain up to 30% THC, hemp typically contains only 0.3% or less THC. 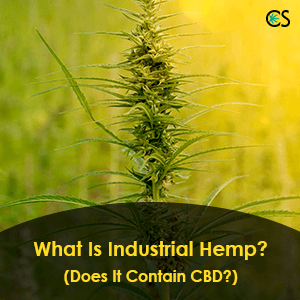 Hemp is naturally abundant in CBD, however, there is a difference between industrial hemp cultivated for commercial products and industrial hemp cultivated for CBD. Hemp that’s used for mainstream production wasn’t cultivated specifically for high levels of CBD. Most industrial hemp on the market is bred for making textiles such as clothing and fiber, as well as food products and health and beauty products. The hemp seeds you buy at the store to add to your morning smoothie don’t typically contain any CBD at all, where hemp-derived CBD products contain significant levels of this beneficial cannabinoid. Why exactly is this, though? Isn’t all industrial hemp created equal? When people refer to industrial hemp, they are typically talking about the plant that’s used to make a variety of common products. These products are made from the fibrous stalks and seeds of the plant, rather than the entire plant. Before the 2014 Farm Bill that legalized the cultivation of hemp for research or commercial purposes, all hemp products in the US were required to be imported. With the increased popularity of CBD, many industrial hemp producers took this opportunity to cash in on unexpecting consumers. This has led to many products on the market claiming to be rich in CBD that really don’t contain any at all. Here’s something else to consider. Hemp is responsible for what’s known as phytoremediation. Basically, hemp can be used to decontaminate soil at a very rapid rate by absorbing the various toxins it might contain. The plant is so adept at removing toxins from soil that it’s been cultivated around the Chernobyl nuclear disaster site for over 20 years. Without strict growing standards in other countries, industrial hemp can literally be grown anywhere. 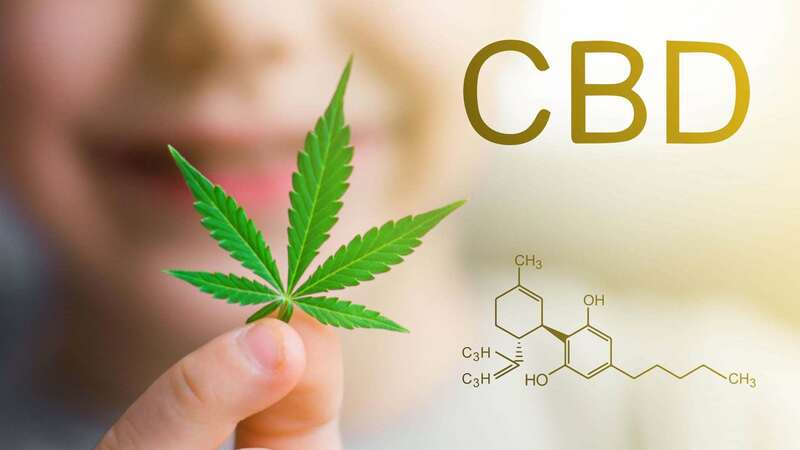 This means that aside from products that contain little to no CBD, consumers may also be getting CBD oil that contains the contaminants and toxins present in the soil the hemp was grown in. Since the passing of the 2014 Farm Bill, however, there are a handful of states that have begun growing hemp in the US. 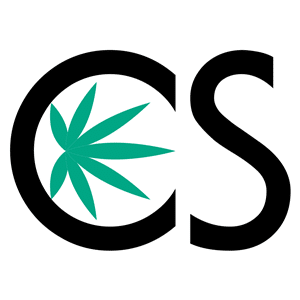 This has led to a noteworthy increase in domestic production, as well as increased options for quality industrial hemp-derived CBD products. Domestic industrial hemp must be certified and registered in the state its grown in, which upholds growers to much stricter standards than are found overseas. Today, there are some 17,000 acres in the United States dedicated to domestic quality hemp production. Many of the quality hemp CBD products available on the market today are produced with industrial hemp that is grown in Colorado. Whole-plant CBD and CBD isolate are both common types of CBD oil found on the market today, and both can be derived from industrial hemp. CBD isolate is straight CBD that is isolated and then processed to remove any other compounds hemp contains. CBD isolate is pure cannabidiol and is used to create many of the CBD products available on the market today. In order to reap the many benefits that CBD contains, however, hemp-derived CBD oil must be made from the entire hemp plant. This includes the flowers, stalks, and leaves the plant is comprised of. Just like marijuana flowering tops, the highest concentration of cannabinoids and terpenes are found in the flowers of the hemp plant. Often referred to as “whole-plant CBD hemp oil”, these CBD products are those that contain all the beneficial cannabinoids, terpenes, and flavonoids that work synergistically to offer CBD’s therapeutic benefits. This is known as the entourage effect, where CBD and other compounds contained in hemp work together to provide a therapeutic effect. Industrial hemp contains trace amounts of THC and is typically abundant in CBD. To ensure you’re getting high-quality hemp CBD products, it’s vital to look for CBD products that are grown domestically and contain whole-plant extracts. The percentage of CBD found in hemp is largely determined by where and how it is grown. Industrial hemp grown in the US is typically higher in CBD than much of the industrial hemp cultivated in other countries. 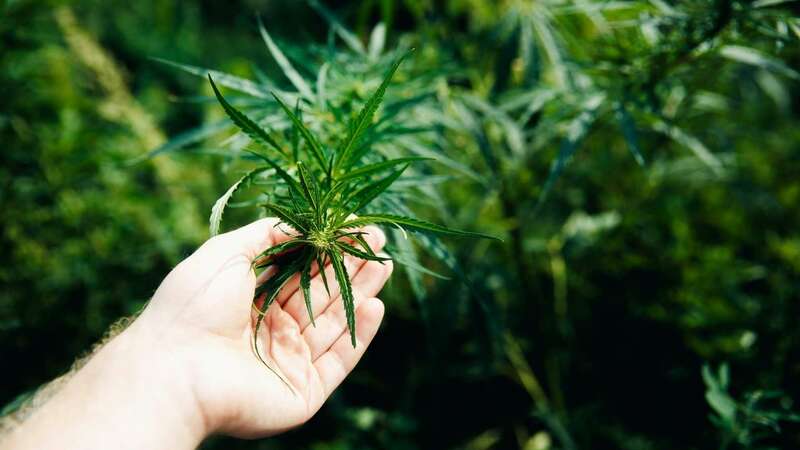 Stricter standards regarding industrial hemp cultivation in the US has led to hemp-derived CBD products containing high potency levels of this extremely beneficial cannabinoid. There is a lot of confusion out there regarding industrial hemp. Learn the basics about industrial hemp. Can I please ask, what is the percentage of CBD available in Hemp to question extreme high numbers in CBD oil (over 2grams of available CBD in one dose), so I know if what they are selling is realistically available as ‘full spectrum’ plant CBD (what we refer in our house as FECO, fully extracted cannabis oil), and not a isolate. It’s serious, because I am seeing more and more CBD oil products claiming extreme CBD in their product. Some of us cannot afford to buy questionable cannabis products.